Should I use CreateSpace or IngramSpark? is a question I often hear. They both have their advantages and drawbacks. But IngramSpark just added a new feature that I suspect will take some time for Amazon’s CreateSpace to match (if they even care): the ability to personalize individual copies of a book. Thank you gifts to people that helped you. Like those you thanked in the acknowledgment section, or who wrote a testimonial. If you are giving a talk, you can include the name of the event, or the host’s name. You can even include a logo or graphic. Add the name of a book club that chose your book for its next reading and insert discussion questions. Basically, any text and/or graphics you can fit on a single page of your current book. Best of all, you don’t need to go back to your book designer to do this. Login to your IngramSpark account and place an order for your book. On the right side of the table that shows what you are ordering and the quantity, there is a red X and under it, “Personalize It!”, click it. Add text, images, and preview. Save and return to the order page. As you see below, your order is purple. Add more books to your order if you like or keep adding personalized copies (perhaps you are adding individual names to each book). Prepare ahead of time by writing out the text and collecting any images you plan to use. Put as much thought into this page as you did to all the other pages of your book (design, spell check, layout). Do you want to personalize individual copies, or a batch of books? Do you need any non-personalized books? IngramSpark charges a per-order handling fee and shipping expenses can be expensive. Spread these costs over as many books as you can. IngramSpark charges $1 per book extra for each personalized copy. Not an unreasonable expense for a personalized product. “When you add personalization, an additional page, with the content you have entered, will be inserted as the very first page of your book at the time it's printed. To identify this unique order, the ISBN barcode on the back of your book will be automatically replaced with a 2D barcode and a unique identifier will be printed on the last page of your interior. Please note: in order to apply the 2D barcode, we place a white box over the original ISBN barcode. If you have artwork in this area it may be partially obscured. Only the book(s) in this order will receive this change, and the personalized version of your book will not be stored in your IngramSpark account. All other orders of your book will remain unchanged unless you specifically add a new personalization to an order. 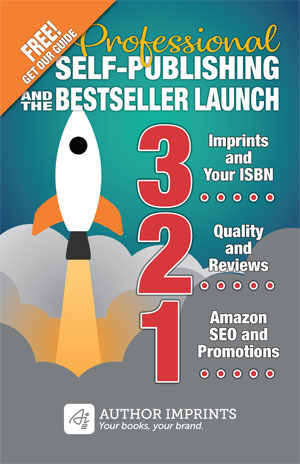 AuthorImprints specializes in helping self-published authors with online services such as IngramSpark. We can manage account setup, advise on distribution strategy and options, and even manage your publishing needs on your behalf. Visit the consulting page, or contact us with questions. The image below is a personalized first page of Register Your Book. Thanks for the great tip, David!